I was able to get started on making more pins. I’m still trying to learn how to operate my mom’s sewing machine. I swear it’s harder to learn than a new computer. 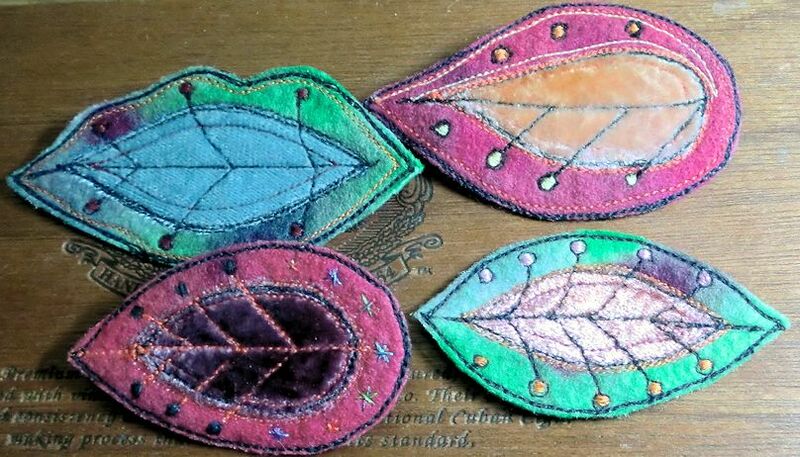 These are hand dyed felt and hand dyed velvet with machine stitching and some hand embroidery. I’m still using up the felt I previously dyed. I have two more to stitch up, then I’ll get to dye more felt in different colors. Yeah! !